One of a kind utility knife in S35VN American made stainless steel. 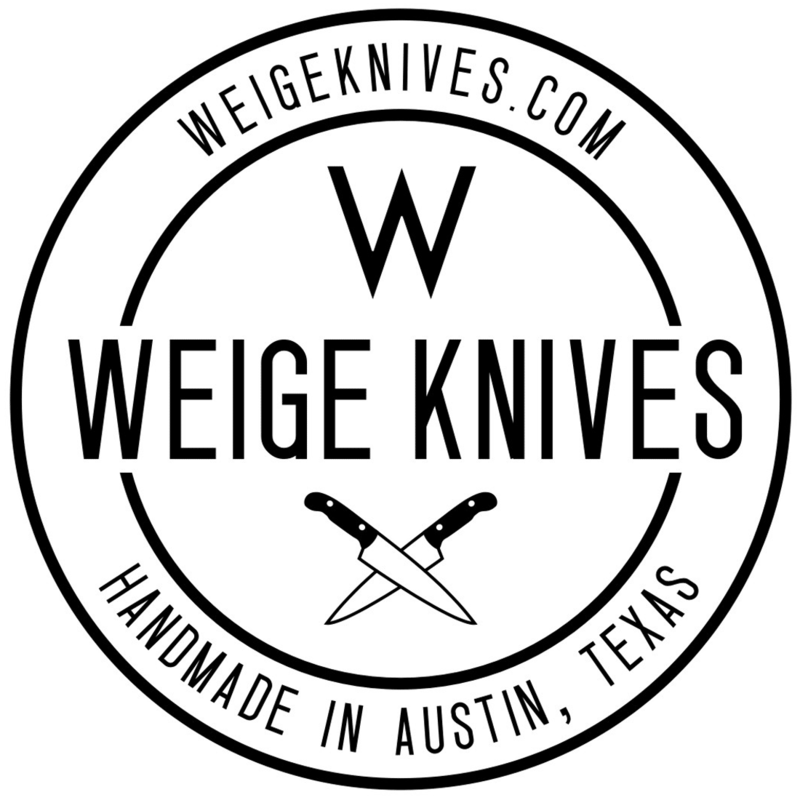 The blade is 5″ and the total length of the knife is 10″. 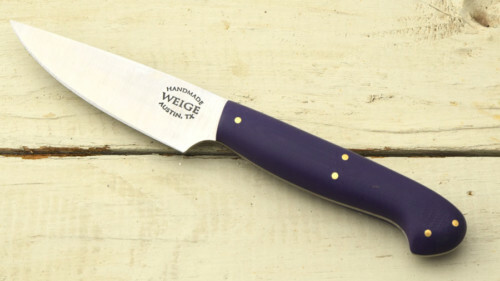 This the classic cut knife that is home in the field or the kitchen. 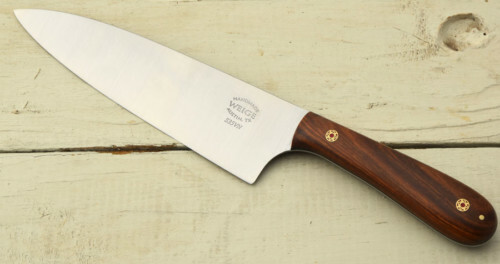 The 5″ handle is done in a brown, green and blond streaked cut of lignum vitae wood. Lignum vitae is Latin for “wood of life” and is one of the hardest woods on Earth. The pins are solid brass. Ready to ship.